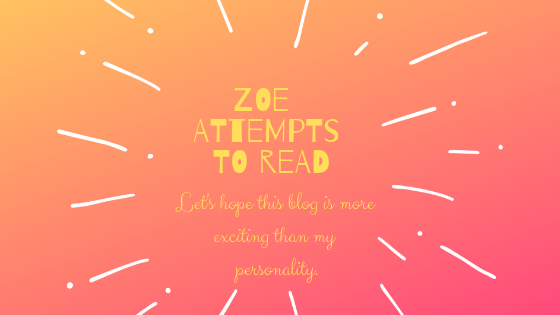 December 25, 2018 December 25, 2018 ~ zoe attempts to read !!! So…it’s been over a month since I’ve done anything blog related. Hello I’m the worst blogger you know and I’m back to haunt your dreams like you’re Harry Potter. Honestly, most of the people who follow this blog know me offline and understand that I’m nothing if inconsistent, so this whole forgetting to post thing is actually pretty on brand. I still feel kind of guilty though. I’m going to offer up this tag as an apology; let’s hope it’s not bad. Today I’m merging Be More Chill and books! For those of you uneducated swine who don’t know, Be More Chill is a musical based off the book of the same title by Ned Vizzini. I haven’t read the source material, but the musical is iconic!!! It follows a teenage boy named Jeremy Heere who is a social pariah (#relatable) with a major crush on a girl named Christine who doesn’t seem to value/notice his existence. 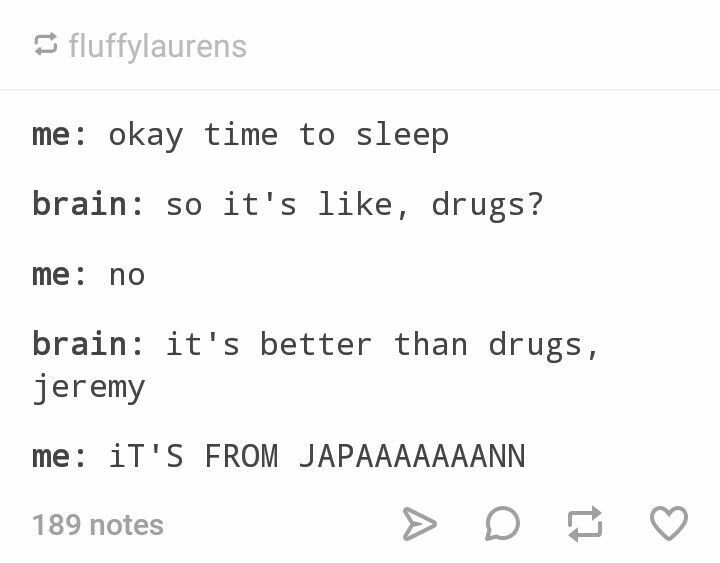 When a random dude in a high-school bathroom offers him the chance to take a pill and become chill (TAKE A CHILL PILL GUYS IT’S ALL A PUN), Jeremy jumps at the chance. Will Christine finally realise he’s there? Enough about Jeremy though– the true hero of this story is Michael! Michael is my son and I will fight anyone who hurts him. And if you’ve listened to the musical, you know Michael is hurt a lot, so my fists are already tired. This tag was created by Steph at Steph, okay?, who makes a lot of Be More Chill content! If I’ve converted you to the Be More Chill way of life, you should definitely check out their channel so you can quench your thirst for your daily dose of these dorky high schoolers and just books in general. The Be More Chill Book Tag uses lyrics, and if you’re new to Be More Chill, I’ve put the songs corresponding to the lyrics in parentheses so you can go listen and enjoy! Alright, to quote every person transitioning into a tag, let’s get into the tag! This song makes me emotional…MICHAEL MAKES AN ENTRANCE, I WANT TO CRY. For this prompt, I chose Nice Try, Jane Sinner, which is a YA (young adult) novel about a girl who goes to college and joins a reality show for their free housing. Yes, it is as spectacular as it sounds. This book is ICONIC and I shove it down everyone’s throats. I decided upon this book because of the written introductory montage to their reality show, if that makes any sense? If you’ve read the book, you know what I’m talking about. Essentially, it introduces the contestants to their viewers. It’s so fun that I couldn’t resist inserting it into this tag! I’m picking Simon vs. the Homo Sapiens Agenda for this one! My memory retention is bad, so this is the only book I can procure that vaguely relates to Halloween, and even then, I really only remember the scene in the movie where Martin shows up in his Freudien Slip costume. ¯\_(ツ)_/¯ I hope that the book still includes Halloween, because if not, I screwed up this prompt! Also…I kinda dig Po from Graceling. He’s super sweet…he’s the soft boi to the Darkling’s problematic bad boi. My friends, my friends. Have you devoured the superb piece of literature that is Aru Shah and the End of Time? If not, PLEASE GO DO THAT ASAP! In this completely and totally awesome novel, we follow (I don’t know why I always say that. We’re not stalkers, don’t worry) a young Indian-American girl named Aru Shah who is also a compulsive liar. One day, her lying gets her into trouble and forces her to go on an adventure. I chose this book because Aru lies when she feels pressured and/or trapped, and she would rather not feel like that all, so she actually didn’t want to go on the adventure…? I’m reaching, but if you think about it from this really weird perspective, my reasoning all of a sudden achieves peak clarity. In this book, Lauren convinces her new and lonely neighbour Sierra to do some illegal stuff…don’t do illegal stuff kids! I am going to pull a switcher-ooo on this question and choose a cover I liked better before it was “upgraded.” My pick is Percy Jackson and the Lightning Thief. For some reason, the original cover appeals to me more, probably because that’s the copy I read for the first time. The covers didn’t even change that much though??? Nostalgia is weird??? Trigger Warnings for PJATLT: the only warning I can remember for this is violence, so definitely make sure you check reviews and stay safe friends!!! Is it appropriate to put me down as the answer to this question? Or Arnold from the Magic School Bus? No? Adina from Beauty Queens definitely regretted stepping outside and joining the Miss Teen Dream pageant for the majority of this book. Who wouldn’t, honestly? In this satirical story, the plane transporting pageant competitors crashes on a desolate island days before our main characters are set to participate. A whole lotta stuff goes down after that. This book is a commentary on how messed-up our society is, but it’s also wickedly funny and relatable. I don’t know what the relatable part says about me, but we’re just going to roll with it. THIS SONG MAKES ME WANT TO CRY TOO I JUST LOVE MICHAEL SO MUCH MY GOD EMOTIONS!!!! Vivian from Moxie is fighting the patriarchy one zine at a time, despite her conservative school trying to muffle her voice. I don’t really believe in the idea of role models, but I mean…I think we can make an exception for Vivian and her mother. Okay y’all, I tag any and everyone to do this, but I know that sometimes I get weird when people just freely tag others and feel like I’m not allowed to do the tag because my brain is mean sometimes. To hopefully avoid anyone feeling like that, I will discreetly tag anyone who asks on my contact page or anywhere else I reside! AHhh!! I loved this! I am not familiar with the source material for the tag… at all! (Sorry 😝) but I loved the way you answered these questions, and the memes had me rolling! I loved the friendships in Heretics Anonymys as well (and Po is a phenomenal soft boi) and you’ve really made me want to check out Beauty Queens!! thank you so much kaylin!!! omg i am slowly converting my friends to the bmc way of life….apparently i have developed an elevator pitch at this point. i would pitch it right now but a lot of it is dependent on finger guns and begging and doesn’t translate very well to writing lol. po is the ultimate soft boi and we need to spread the word. i also def recommend beauty queens!!! it is actually my fav libba bray book, and i’m also forcing it on my friends. yes, they despise me at this point. have a great day/night/indiscriminate time period thingie!! !